Well, it's high time I returned to a review which, looking back, I really do not like. 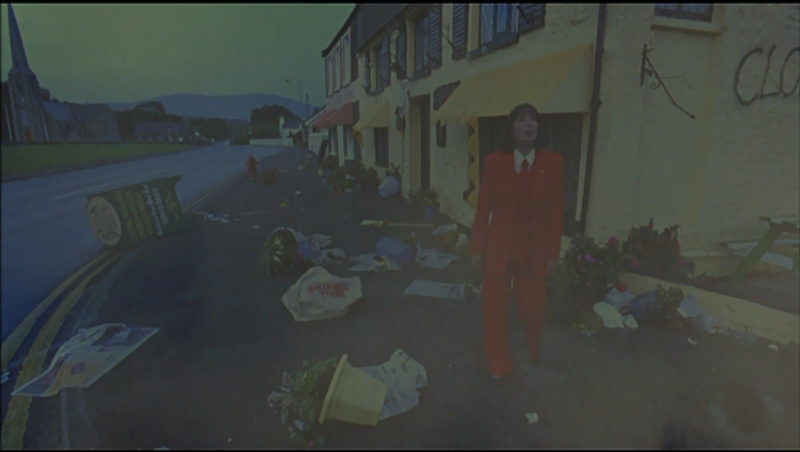 It's not because I like the film, it's because it's really... messy. It never really tackles any of the issues with its story, characters or plot devices. 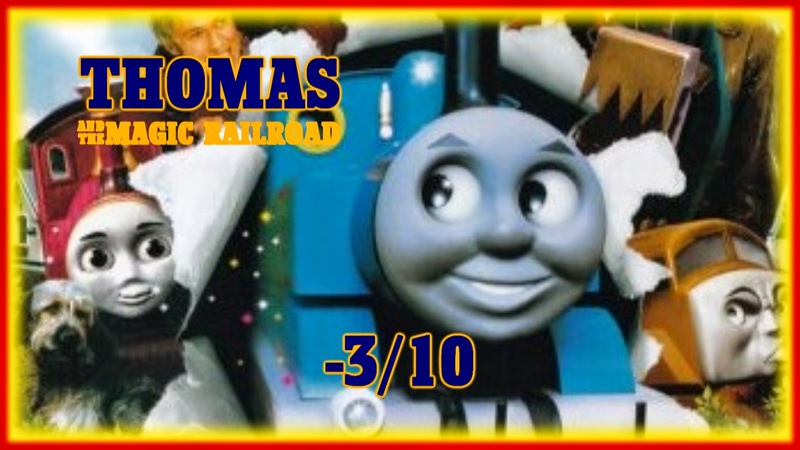 So here are my updated thoughts on Shining Ti... sorry, Thomas and the Magic Railroad. So let's start with the story. It's terribly convoluted on all accounts. First of all, it's stated that Sodor is at one end of Mr Conductor's "special universe" while Shining Time is at another. 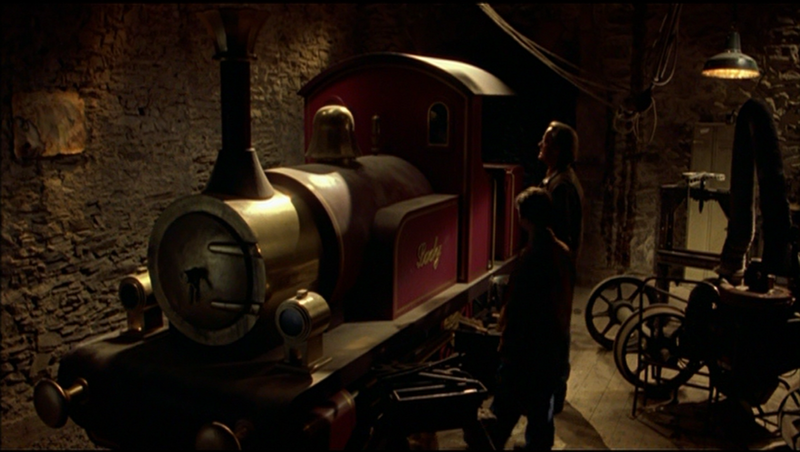 This, for me, was the first example in this film that Britt Allcroft had no respect for the source material (although, to be fair, series 5 made it more obvious. This film was more blatant about it). 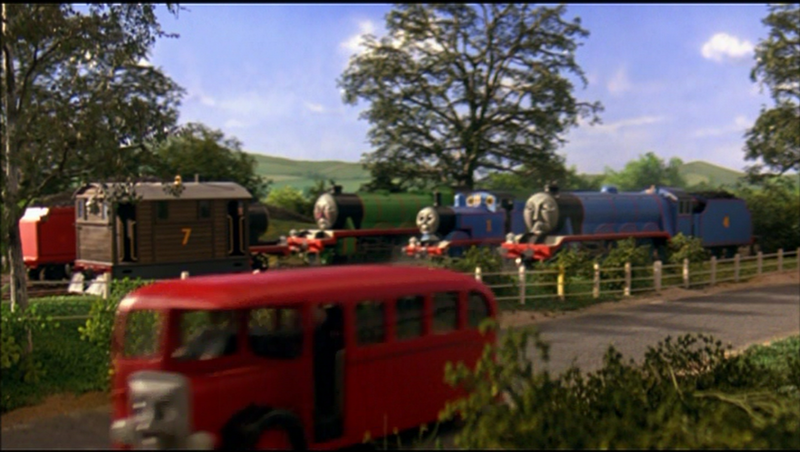 No matter which universe this story was set in, Sodor has always been an island off the coast of England, near the Isle of Man. Also, what does he mean by "special universe"? Does it mean Sodor's on Earth and Shining Time is on Pluto? Because if that's the case, how could a railway connect the two? 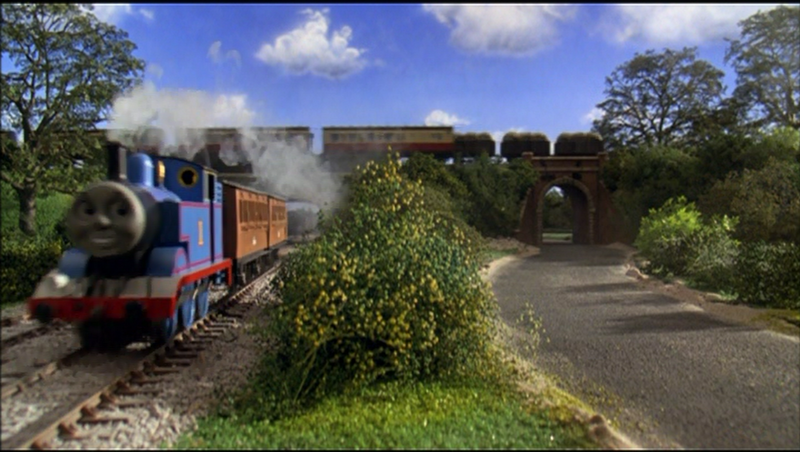 I mean Misty Island has a tunnel that connects it to Sodor, and while it is really dangerous due to the carbon monoxide produced by the coal powered steam engines, it still makes some sort of sense. That said, him using magic to get to Sodor can be explained since Timmy can go anywhere with magic with his fairies in The Fairly OddParents. Second, there's Lady's back story, which is extremely convoluted. Apparently, her being alive affects the whole universe. Fair enough. Except the TV series had never acknowledged that she existed before then, and the only time she was seen after, her only defining trait, which was established here, was completely ignored! Heck, even though I know little about Shining Time Station, I do know that she was never mentioned there, either! Not only that, but despite the fact that she's on the anthropomorphic locomotive's equivalent of life support, Sodor carries on as normal! You'd think that the engines would get a bit weaker somehow! Whether they began losing the ability to talk or just became weaker physically. It would have made sense (to a degree) and it would have made the claim that Sodor and Shining Time are in the same universe, being linked my a mythical engine, much stronger. 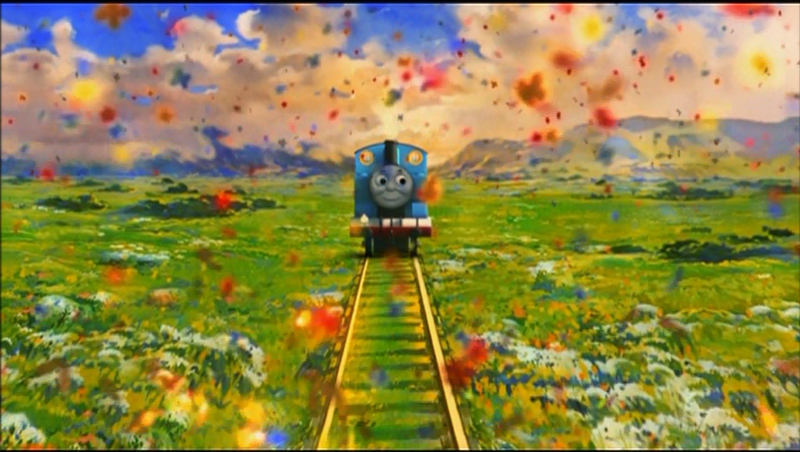 While I'm on the subject, why was Sodor even necessary to the plot? 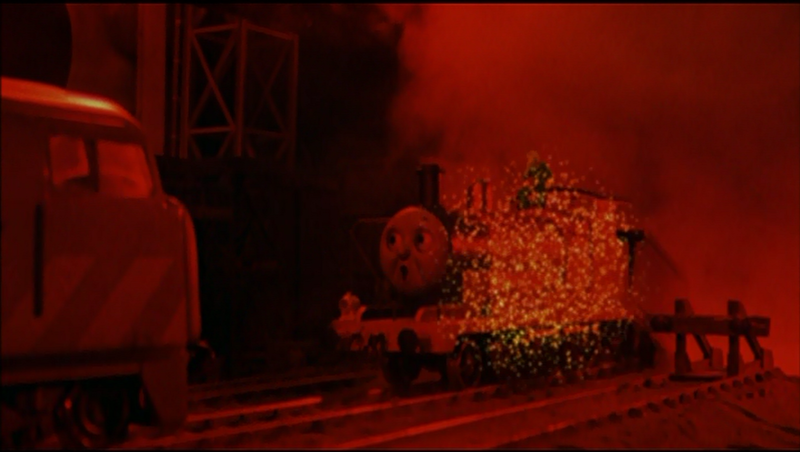 The location of the clue to the source of the gold dust was completely stupid and the coal doesn't all come from Sodor! Yeah, I'm sure the island has a colliery or two, but I'd imagine that most of it was imported! So the "special coal" (which, by the way, Henry meeds despite the fact that he shouldn't need any, even for boiler ache!) is pretty ridiculous. 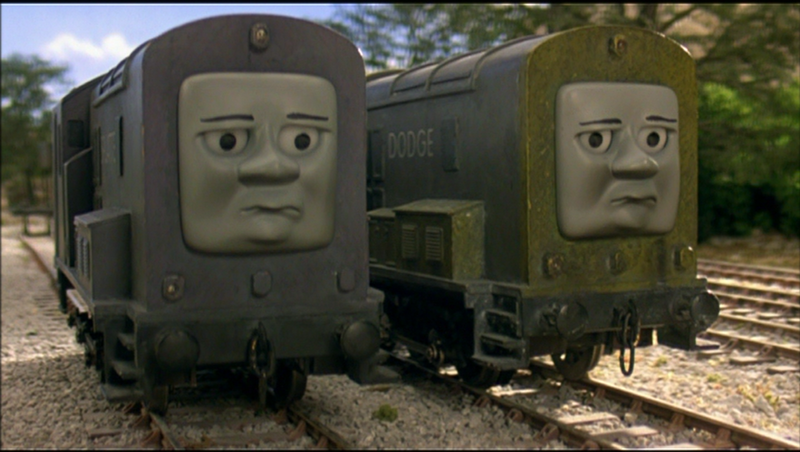 And then there's Diesel 10. 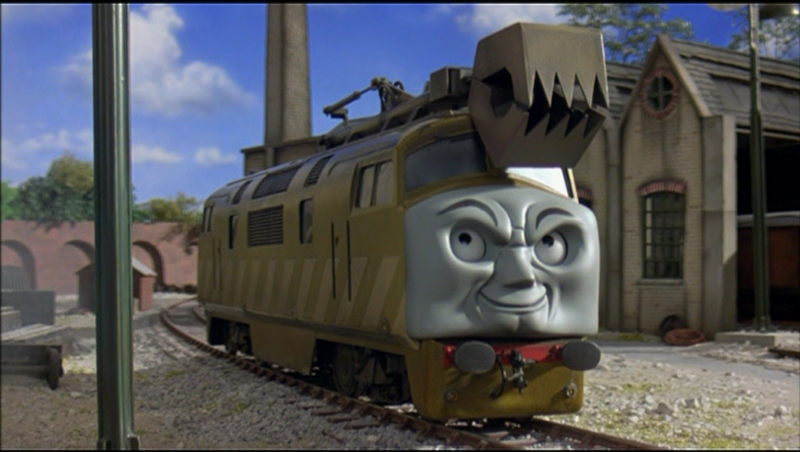 The only things that don't make him a clichéd Hollywood villain are the fact that he's a diesel (which makes him a clichéd Thomas and Friends villain) and his claw, which is given a name because... reasons. It has no face, it has no character, all it does is try and give a big scary claw a less scary feel, which is like giving a cute named spider to an arachnophobe. No matter what you do to the spider, they'll still feel scary to the person! Lady. I've already ranted on about her twice before, so I'll just leave links to my post on Lady as well as my top 10 worst characters. However, I've read recently that Lady was never intended to speak in the original version, so maybe giving her a voice in the final cut actually helped her popularity. Although, it still doesn't change the fact that, to me, she's a glorified plot device. Back to the story, which is extremely confused. Yes, I'm well aware of the cuts demanded by the focus groups, but a) that doesn't excuse you from putting as little effort as possible into making the new story coherent and b) it doesn't explain why Britt was trying to up the target audience of the show prior to, and culminating with, this. After four series, the series should have found its identity, so it makes no sense! 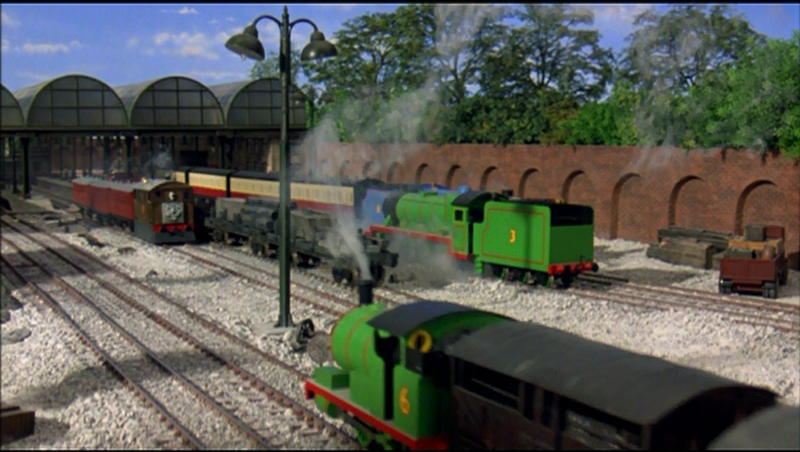 Sure, The Railway Series had a tone change midway through, but it was reflecting on the state of the railways, so it made more sense. 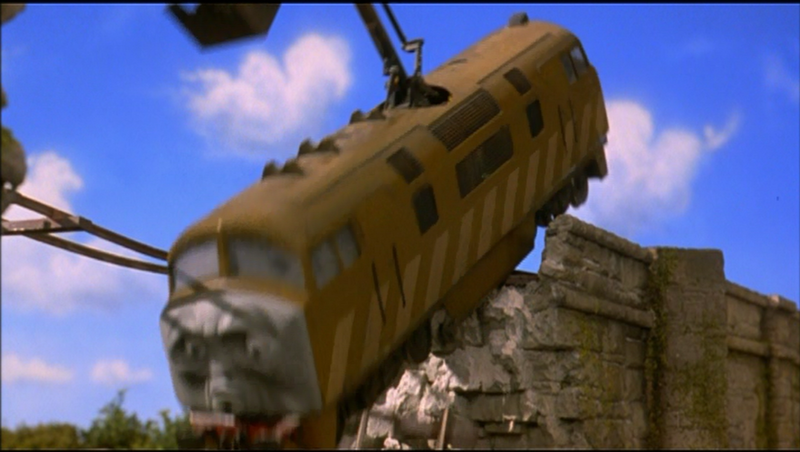 From series 5 onwards, the change was there for no other reason than to pander to little boys with action scenes, loads of crashes and explosions. Also, the audience you're trying to aim the film at would have typically grown out of Thomas by that point in life so they'd be disinterested in it. But even trying to up the age range doesn't make sense since there's the magic gold dust element was there to try and satisfy young kids, as was giving names to big, scary objects! Seriously, if you think the last two paragraphs are confused, it's nothing compared to the film itself! There have been many fingers pointed to focus groups for the film failing so miserably, but I'm not one of those people. Sure, they may have had an influence on the edits, but they never forced Britt Allcroft to do anything! If she was so confident in the film's original cut, why didn't she just release it? If she couldn't, why didn't she put more effort into making a coherent story? It's not like the focus groups blackmailed her to make a terrible film! But on the whole though, I just hate what this movie represents. 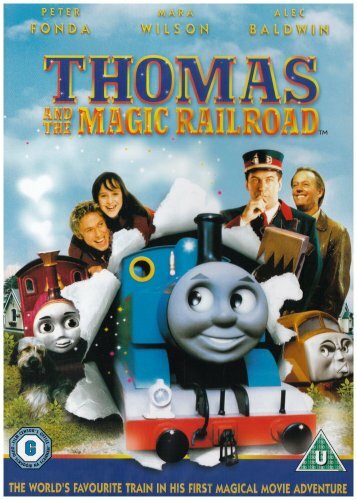 It, for me, showed that Britt Allcroft didn't care about Thomas the Tank Engine or the world that she inherited. I've already brought up the change in geographical location and how Sodor is relatively pointless to the story, but the fact that everything about it is American (apart from the term "truck") is, quite frankly, an insult. I watched an episode of Top Gear a few days ago and even they recognise Thomas as a British icon more than Britt Allcroft did here! The only thing I didn't really mind was hearing Sir Topham Hatt since that's actually his name and it is quite nice to have a breather from the constant references to "the Fat Controller". Moving on to the model sets. Like I said in the previous review, most of them are just thrown together haphazardly. Nothing has any sort of coherence to it. There's no real mapping to any of them. They just thought "We'll put these things there and be done with it". But for me, the worst thing about the models was (and this is going to sound petty to most, but bear with me) the engines lacking crews. Rule number one for Thomas and Friends was that engines always had crews! Going against the structure of a show is one indication that it's gone on too long, especially when the creator is the one bending the rules! I know their absence had no bearing on the plot, but like I said before, you cannot go against what's been established since the pilot! Then there were the voice actors. To their credit, they did pretty well considering they were probably called up at such short notice, but I feel really bad for the original cast, Michael Angelis especially. 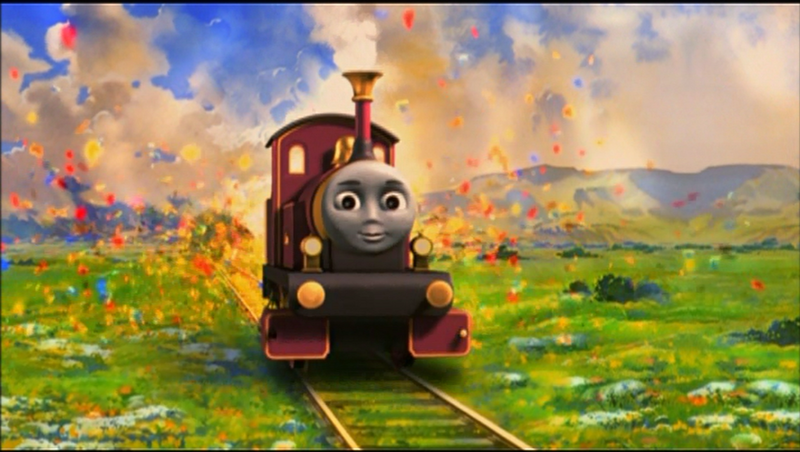 He's always done a brilliant job with James and Percy's voices, so to replace him with someone so sub-par was disrespectful. I'm actually surprised that he returned to the show after that. At least he did though, unlike John Bellis (Thomas) and Doug Lennox (original main antagonist). They were given an amazing opportunity, yet it was so cruelly taken away because Britt was felled by peer pressure. Who knows what could have happened had their roles actually made the final cut? As for the actual acting, it was terrible. Alec Balwin's excitement felt extremely forced - almost like he was being Tasered, Peter Fonda looked like he was chronically depressed throughout, even when Lady was restored (he'd give Kristen Stewart a run for her money) and Mara Wilson just looked like she didn't want to be there. It's a shame this was the last major film she was associated with. The only character I can say I liked was C Junior, played by Michael E. Rodgers. 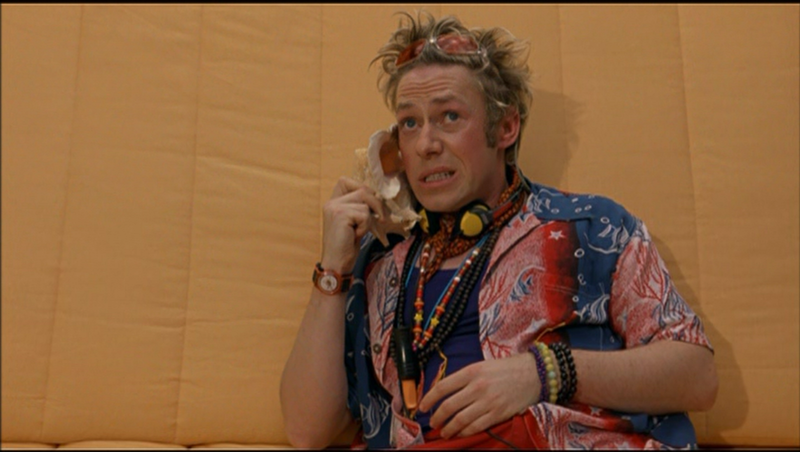 While it was confusing as to what relation he was to Mr C., he was the only character to show any growth throughout the film. At the start (well, more near the middle, since that's when he was introduced), he was a clumsy goof who preferred to be at the beach, but by the end he accepted the burden of responsibility that he would inevitably have in the future. That said, even that felt rather wonky. The visuals are... hit and miss. The panning shots look great, as do the atmospheric ones, but the character models looked extremely lazy. Yeah, I agree with the critics who point out the mouths not moving as a drawback. For a TV story that only has a narrator, it makes sense since the episodes are told like they're stories (not to mention the fact that TV budgets are much smaller than film budgets). This was a big screen adventure, and the static faces just don't work. You could make the argument that they kept them that way to "keep the feel of the show", but I think that excuse went out of the window with the inclusion of Shining Time Station and the lack of British influences! The only thing I really enjoyed (other than C Junior) was the music. Hummie Mann's themes were absolutely beautiful, and they captured the atmosphere fantastically well. The only song I wasn't much for was Locomotion by Atomic Kitten. It sounded rather cheesy, but it was only heard on the soundtrack and during the end credits, so it wasn't too bad. As a Thomas and Friends film, this simply does not work. 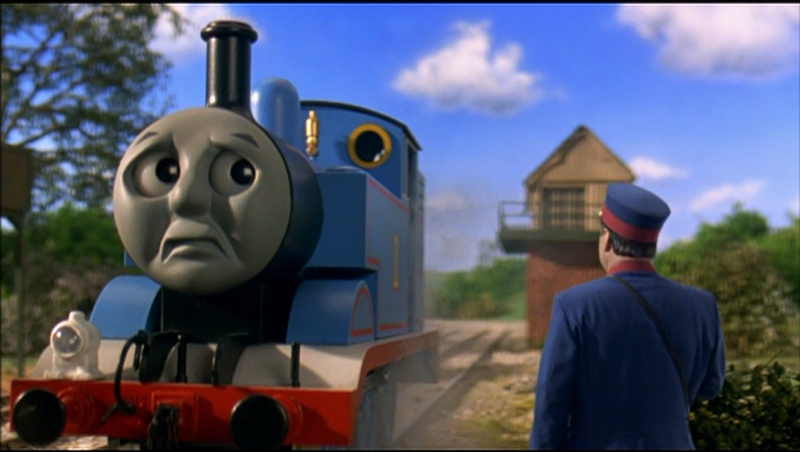 Even disregarding the Railway Series, there are so many convolutions and contrivances that it just made it feel like Britt Allcroft was spitting on the Rev. Awdry's grave. Not to mention the fact that Sodor is barely featured and, actually, could have been cut completely with two edits. The sad part is that this could have worked as an actual film. I'm serious. If the cuts hadn't been enforced and if Sodor hadn't felt shoehorned in, it could have been an ideal send off for Shining Time Station. Lady could have simply been the guardian of Shining Time, while Boomer wanted her dead for whatever reason, maybe out of spite for something Stone had done. I would watch that! But as it stands, this just feels like a lie. The direct to DVD specials feel more like Thomas films than this. 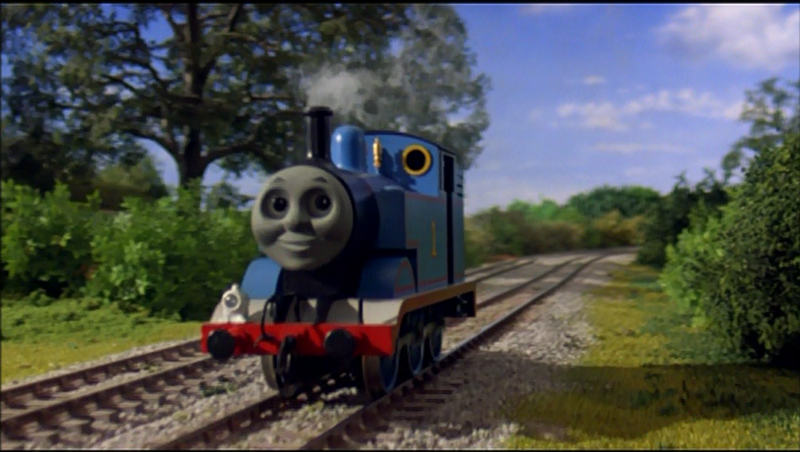 Even though the quality of them is... mixed, the producers still understand that they're creating an adventure about a little blue engine and his friends on the island of Sodor. This does not. This leads on to the million dollar question: would I have preferred the director's cut? No. 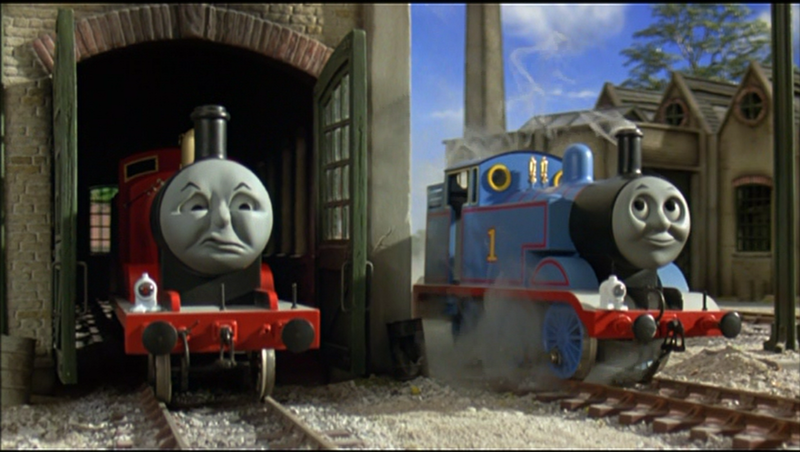 While, yes, the story would have been slightly stronger, the engines may have had British actors voicing them and there may have been a bit more involvement on Sodor, it still wouldn't have removed the convoluted set up and the fact that this is still a send off to Shining Time Station that they were trying to flog to a worldwide audience as a Thomas the Tank Engine film. First of all, thanks for telling me that this was the more recent review, as I do want to keep up to date on these things. Wow, and I thought you disliked the movie before, but now you're giving it a -3/10? That's a lot of dislike. After reading this though, I suppose I can't blame you. I can understand how growing up with this being a huge thing in your own country and then having it be completely re-written and everything for American audiences could really bust your buffers. Sorry I can not agree with your review, Thomas The Tank Engine is not real, it is a fictional children's story so it is all imagination anyway, it had more credibility than half the trash that is in current movies. Just what any current movie, absolutely impossible things at every turn and they claim to be real stories !!! ...you do realise that you’re trying to defend the credibility of a film that literally includes magic (that’s based on a show that was grounded in reality before then), right?